Jagadis Bose National Science Institute will soon activate JBNSTS Junior Talent Search 2019 for class 11th students of West Bengal. This scholarship test will be conducted in the upcoming days. The Department officers have held this examination to enhance and identify the scientific talent of the students enrolled in the Science stream during class 11th & 12th. This scholarship is one of the reputed scholarships of the country. Students can apply for this online application form by visiting the Official link of the department. Stay connects through our web page to get more information about JBNSTS Junior Talent Search 2019. Applicants must have to complete class 10th class exam in the year . Candidates must have obtained at least 75% marks in class 10. The candidates should have taken admission in class 11th in science stream with any 3 subjects out of Computer, Mathematics, Biology, Physics, and Statistics so on. Member of West Bengal can participate in the scholarship test. Applicants are required to deposit Rs. 100/- by the mean s of Bank draft is drawn in favor of ‘Jagadis Bose National Science Talent Search’ payable at Kolkata. 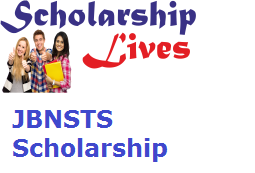 JBNSTS Scholarship test for seniors will be selected on the three phases 1st phase written test and 2nd phase Interview and third phase Scientific Creativity Test (3rd and Final phase). First qualify the written test will be called to appear in the interview process and then will be called for Scientific Creativity Test. Rs. 3000/- p.m. till M.B.B.S. for the students of medicine and till B.E. / B.Tech for the students of engineering. The selected scholars from basic get Rs. 80,000/- p.a. till M.Sc. Annual Book Grant of Rs. 2000/- p.a. By following these easy points, students can easily apply for this Scholarship for.